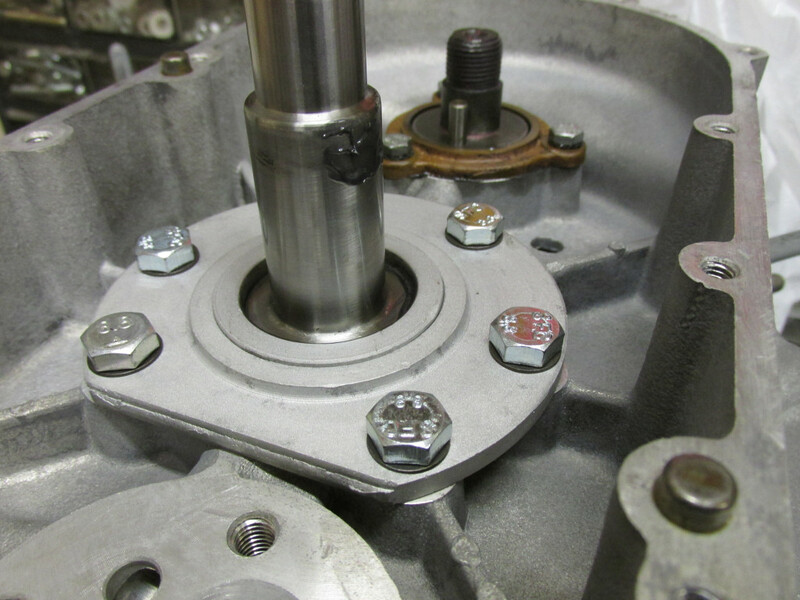 I installed the rear main bearing using new bolts, new thick wave washers, and with a coat of ThreeBond on the threads of the bolts. 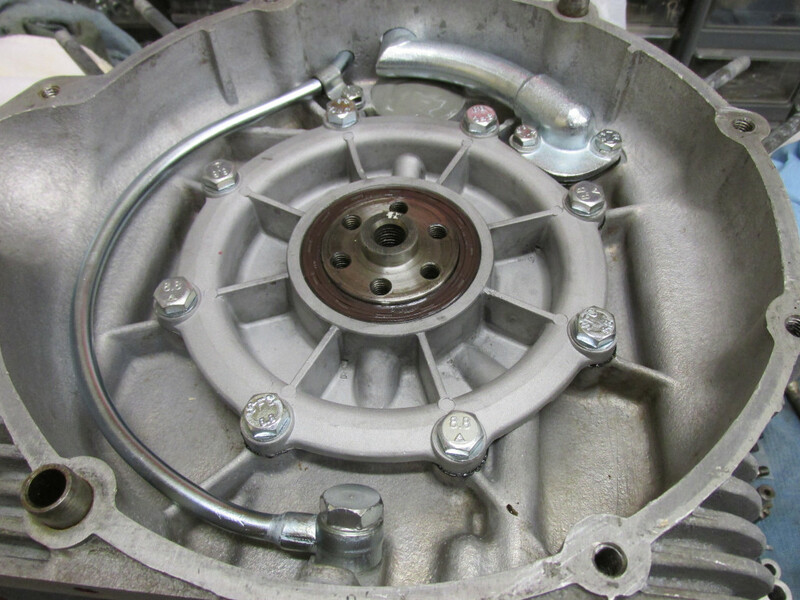 I also put a coat of Permatex Super 300 on the gasket. I installed the breather inlet pipe using new bolts and split ring washers, and a coat of Permatex Super 300 on the gasket. I installed the breather return pipe using fresh aluminum crush washers and a new bolt and spit ring washer on the securing strap. 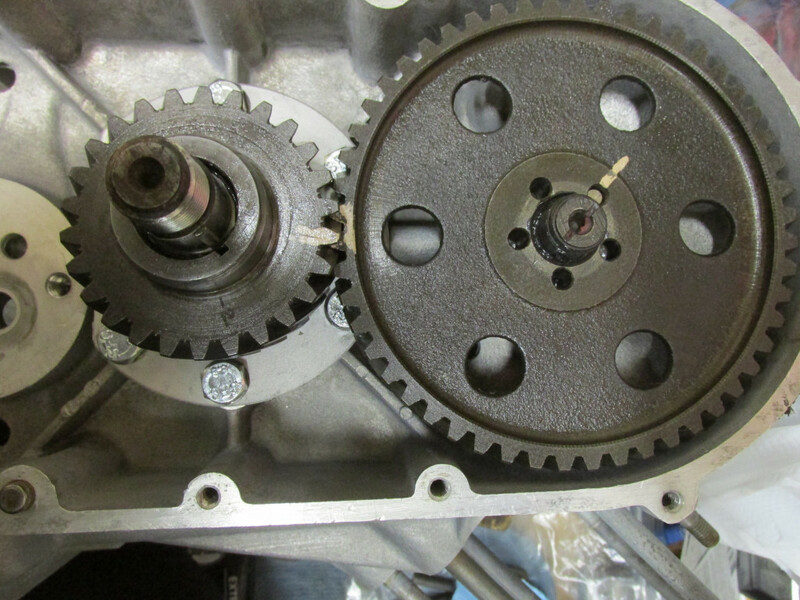 I fit the crankshaft and camshaft timing gears in place using the existing alignment markings. 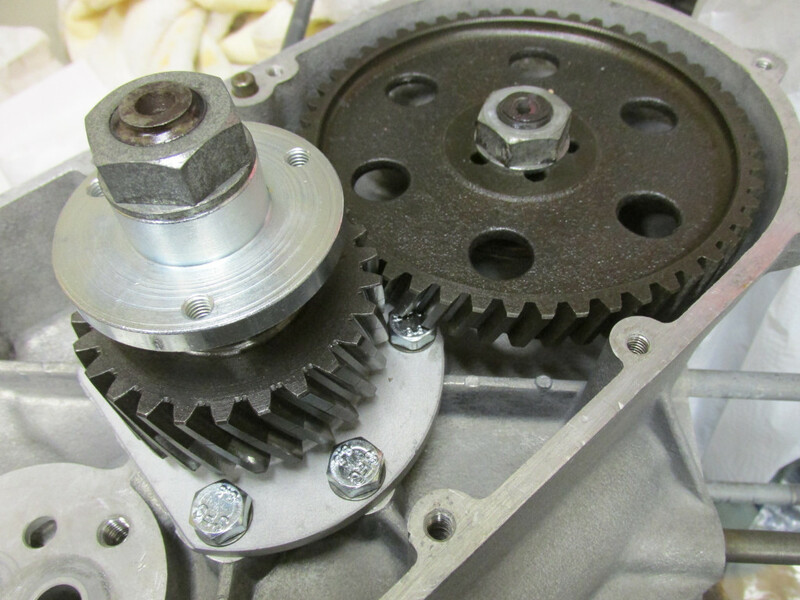 Given that I have a reground camshaft, I will have to verify the valve timing later. I cleaned up the exterior of the oil pressure relief valve and pipe. I still need to clean the interior and set the blow-off pressure.